The public library is a great resource. You can find so many unexpected treasures. Recently I have been researching children's cookbooks trying to understand portions and proportions as well as what others think are interesting, healthy recipes for kids. 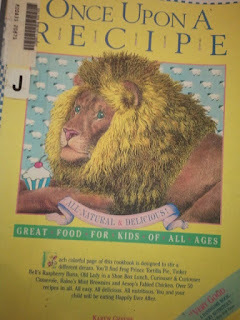 I came across a wonderfully creative book called Once Upon A Recipe by Karen Greene. It is based off of favorite fairy tales and children's books. It includes elegant drawings and recipes to go with each fairytale. There are even original quotes from these classics to capture the imagination. What I was particularly impressed by was the healthiness of the recipes along with the way she sets them up to be interesting and fun for children to experience. 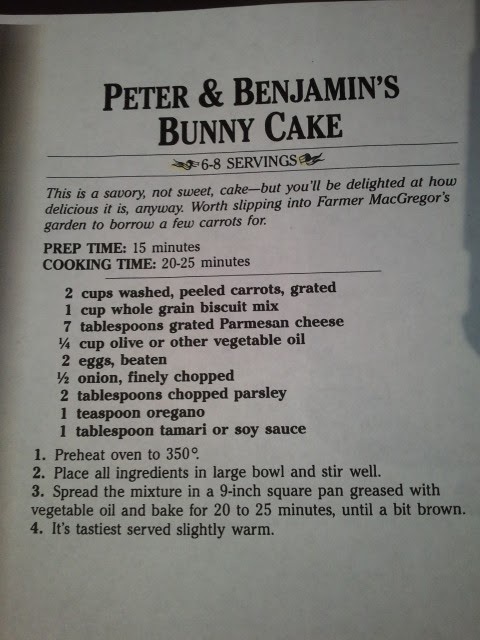 In honor of Bunnies, Spring and Easter, I have included her Peter and Benjamin's Bunny Cake for you to inspect and maybe even try out! Check out your local library and see if they have a copy. 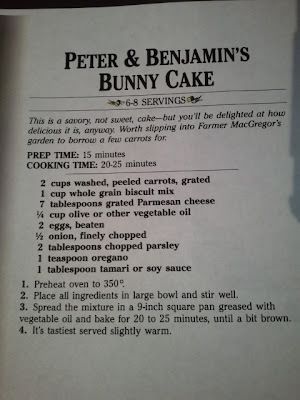 You are bound to have fun perusing this cookbook! I want to have a tea party for the little kids I know just so I can enjoy the bounty of this book!